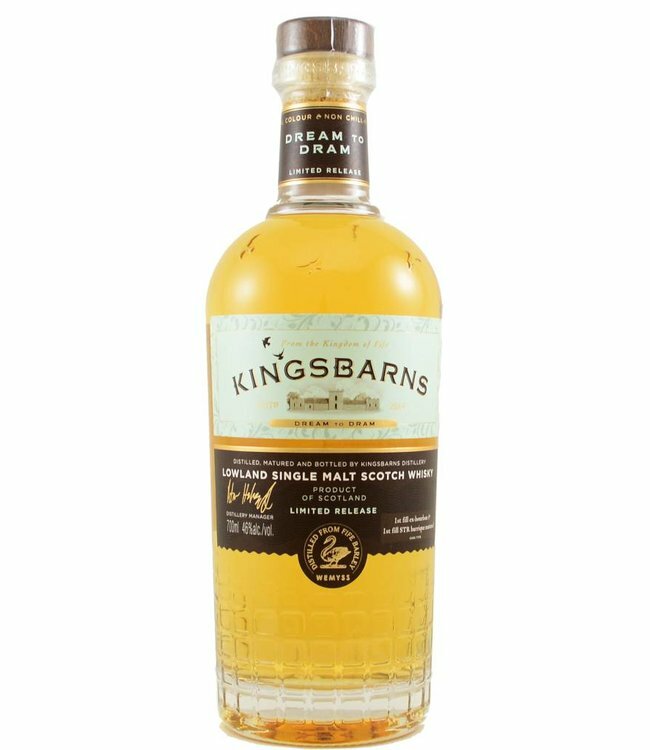 Dream to Dram is the first official release of the new Lowlands distillery Kingsbarns. The Scottish Wymess family converted a historic farm into a distillery near the coast in Fife. This new release is made from local barley from East Five.